Hello, My name is Alberto Cordero, I still remember my beginnings in 3D, and it was not just in front of a computer. I remember that I used to imagine what it would be like to do things in 3D, drawing for hours like being able to find 3D parts in spaceships (pure polygons). Until one day I found an article in a magazine, I talked about how to create a 3D Martian, it showed you part of the process, it talked about the tool they used, and there were these descriptions that made my mind start flying, I began to develop in my mind or in my subconscious this desire to know more about it, to understand where all this came from and how everything fit perfectly. Years passed until I could get my hands on the first version of 3D Studio Max 3. Back then, it was like gold for me, hours and hours on the computer of the school where my dad worked at that time, very but very bad computer , But for me back then it was the most precious thing. It was not until I started my first job as an Instructor in 2008 where I could have more access to information on the internet, tutorials that began to open my eyes to new things. I gave classes related to computer science, Design, Animation, Photoshop, Premiere, After Effects, Introduction to Windows OS etc. I loved it, it was my passion, but I felt the need to include 3D, and until I arrived at this place (Young Computer and Electronics Club), no one had started to give this type of courses, but I loved the challenges . That’s when we started offering Modeling in 3D Studio Max courses. Many began to leave these classes, to study and to surpass each day to me to be able to face the minds desirous of knowledge of my students. 10 years after seeing that article in that magazine (the alien) the same magazine got in touch with me (Cuban Giga Magazine) wanted to contribute with them in articles related to 3D, and from then I began to collaborate with them. Then, there is also the opportunity to have access to one of the first 3D blogs in Cuba, totally related to 3D, workflow, news, etc. 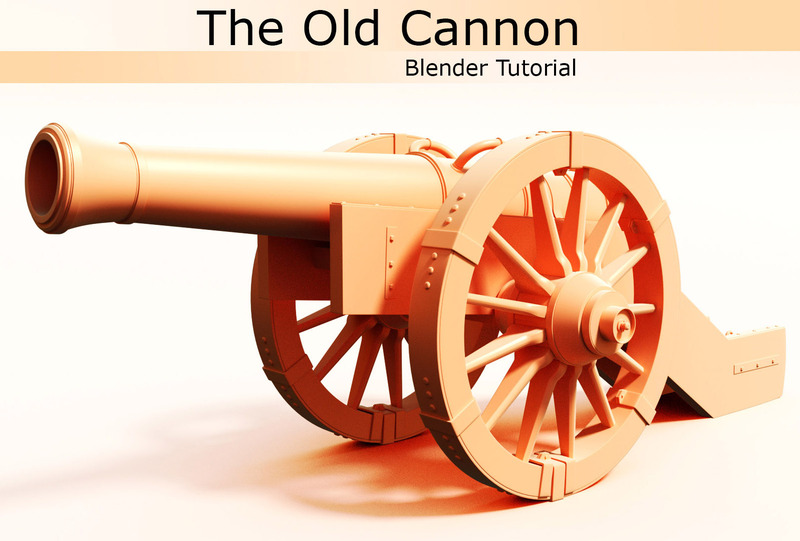 At the same time I wrote tutorials for BlenderWorld. It was a great adventure. After a few years, Blender came from nowhere, in a new opportunity to be able to work as Instructor and 3D Artist in Venezuela, opportunity that showed me other new ways, mainly because I started to teach Blender, related to 3D Modeling, Texturing, Rendering, rigging etc. I was living my dream, starting something new, away and far from my homeland (Cuba), away from the family, was a challenge for me. I never went to school, I was always an entrepreneur, persevering is one of the words that most fit me, I always liked the way I can understand things my way, find the right information, meet the right people and from there Begin to build more and more that wall of skills that today, looking back, I understand because all that sacrifice of so many hours stuck to the computer has put me on the right path. The Sculpting Training Zone is the fruit of all this journey, from hours and hours studying for myself, trying to find solutions that were hidden before my eyes. My purpose is to show you the right way to get that discipline to your goal, how to be able to move all your energy and redirect to that place where you want to be. From somewhere I learned that, you only learn by doing, find a way to understand what you want, what you love doing, and find the right information to get to that point. If you are here, it is because you want to be part of the experience, find what you are looking for and enjoy the experience.